Rail passengers will see the price of regulated fares go up by a maximum of 3.2% next year. 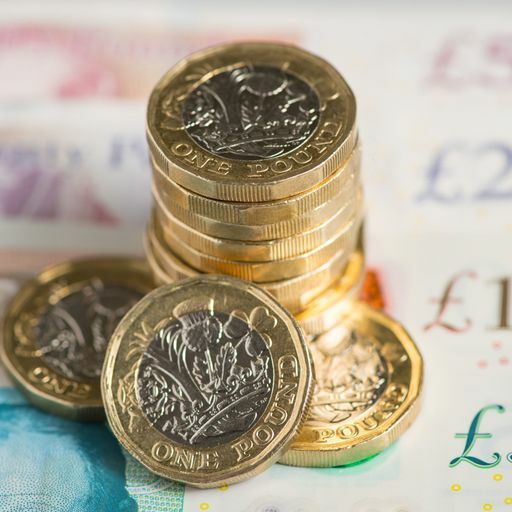 July's Retail Price Index (RPI) - the rate of inflation which is used to set ticket prices - was down on June's 3.4% figure, the Office for National Statistics said. Economists were expecting it to stay the same. This affects about 40% of fares, including season tickets on most commuter routes, some off-peak return tickets on long-distance journeys and anytime tickets around major cities.Many long-distance commuters will see the annual cost of getting to work increase by more than €150 as a result.A 3.2% rise will see annual tickets from Brighton to London go up to €4,846 a year (an increase of €150), Gloucester to Birmingham increase to €4,239 (a rise of €131) and Liverpool to Manchester rise to €3,253 (a jump of €101).The July RPI measure of inflation is used by the government to calculate the maximum annual increase in rail fares.This January, regulated fares rose by 3.3% - following the July 2017 RPI figure of 3.6%. Meanwhile, the Consumer Prices Index (CPI) measure of inflation rose to 2.5% in July, up from 2.4% in June, the ONS said.Transport Secretary Chris Grayling has said he wants to move the industry away from basing fare rises and wages on RPI, using the CPI measure instead.But unions are opposed to the proposal and have accused the minister of trying to cap pay rises in the process.Labour leader Jeremy Corbyn described any increase in regulated fares as "an insult to everyone who has suffered from the chaos on Britain's railways".Thousands of passengers are still waiting to receive enhanced compensation following widespread cancellations and delays to rail services in the north of England and in London after the introduction of a new timetable in May. Paul Plummer, chief executive of the Rail Delivery Group, which represents the railway, said: "Fares are underpinning a once-in-a-generation investment plan to improve the railway and politicians effectively determine that season ticket prices should change in line with other day-to-day costs to help fund this. "While the industry is learning lessons from the recent timetable change, major improvements have been delivered this year from upgraded stations at London Bridge and Liverpool Lime Street to new trains in the South West and Scotland, and more will be delivered in the next year. "CPI was up partly due to higher transport and fuel costs, as well as what the ONS described as "erratic computer game prices" - adding to the squeeze on households as pay growth remains static.Sterling was broadly flat against the dollar and euro following the release of the inflation data, holding steady at 1.27 US dollars and 1.12 euros.At the pump, the ONS said petrol prices fell by 0.8p month-on-month to 127.2p per litre, while diesel prices dropped by 0.5p to 131.6p per litre.Clothing and footwear prices fell by 0.4% year-on-year, coinciding with the summer sales period on the high street, but households were hit by an increase in food and non-alcoholic drink prices, which rose by 2.3%. Earlier this month, the Bank of England (BoE) raised interest rates above their crisis lows for the first time in nearly a decade.However, BoE Governor Mark Carney warned monetary policy changes need to "walk not run" - suggesting the cost of borrowing will not rise sharply over the next few years.